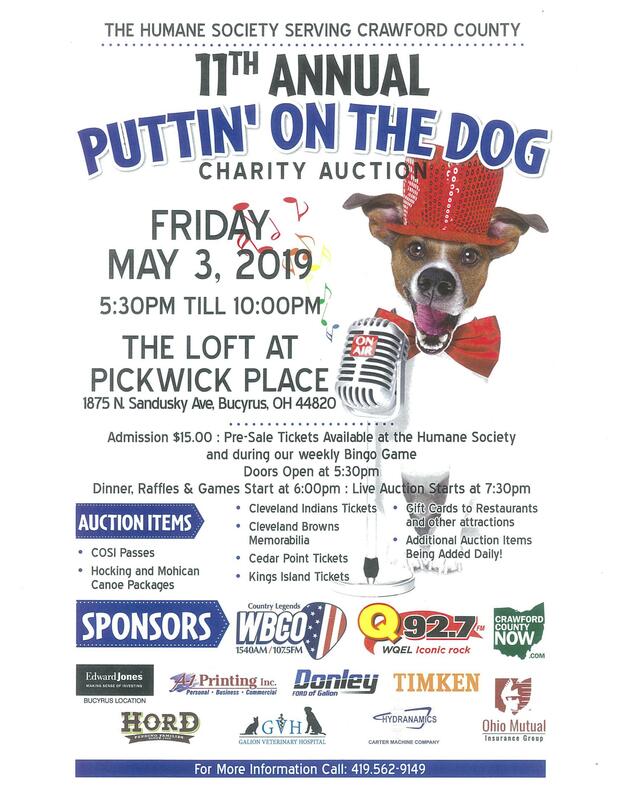 The Humane Society Serving Crawford County is holding their 11th Annual Puttin’ on the Dog Charity Auction on Friday, May 3 from 5:30 to 10 pm at The Loft at Pickwick Place. Presale tickets are available for $15 at the Humane Society and during the HSSCC weekly Bingo Game. Auction items include Indians & Browns tickets, travel packages, Cedar Point and Kings Island tickets, and lots more.